Based on the century-old design of washbasins used before the advent of running water, vessel sinks sit on top of the vanity countertop, unlike traditional drop-in undermount sinks and add a touch of eye-catching luxury to your bathroom that is simply unparalleled. Pair them with the perfect faucet to create a space that both stylish and functional. Our vessel portfolio consists of exceptional sinks that are designed to blend seamlessly with your choice of style and design theme. Stripped of all non-essential flourishes, our nature inspired vessel sink collection embodies minimalism and simplicity with restrained opulence and a stunning linear form that never goes out of style. 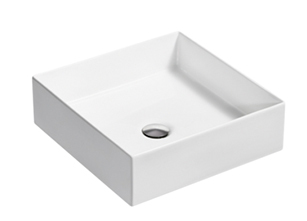 Inspired by the Cape Town Stadium built in 2010, the Veil sink draws on its sculptural simplicity and sophistication. Marrying unexpected artfulness with advanced technology for visual and experiential seamlessness, the Veil sink is the perfect addition to any ultra modern bathroom. The lift at each end is evocative of the lines of a sailing vessel and gives the design a surprising lightness. 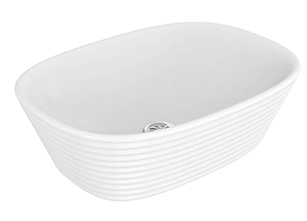 Inspired by ripples in water, our Ribana sink is contemporary design at its best. The irregular spiral pattern adds a sense of vibrancy and rhythm to the modern bathroom along with a unique resonance and character. 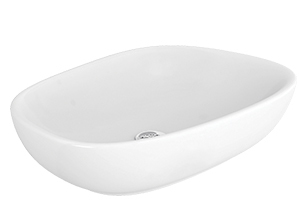 Deep and generous, the design reduces splashing and is remarkably easy to clean. Kankara’s design is evocative of one of nature’s truly persistent wonders, a pebble sitting on a river bed. Referencing Time and Earth, the two luxuries we most commonly take for granted, the irregular design is a vision of nature transformed into a contemporary vessel sink. Add it to your space for a unique yet gracious and inviting design aesthetic that will never fail to draw eyes. 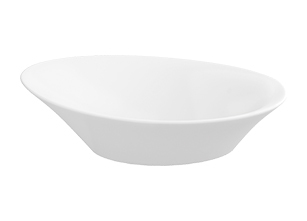 Our Mica vessel sink may look fragile but is surprisingly strong. The luxurious 6mm body is a homage to modern minimalism while the ceramic material adds durability and strength, together they form an exquisite work of art that adds grace and elegance to your space. Inspired by sculptural simplicity and sophistication of the Cape Town Stadium built in 2010, the Veil sink is an an eclectic story of spectacular artistry and automation. Marrying unexpected artfulness with advanced technology for visual and experiential seamlessness, it is simply put, art you can touch. The lift at each end is evocative of the lines of a sailing vessel and gives the design a surprising lightness, while the sensuous, soft, and approachable emotive appeal makes it a product that you would wish to personalise with your name. Inspired by ripples in water, our Ribana sink is the results of our efforts to combine natural elements, like flowing water, and the natural shapes which can be created by human hands, manually. The result? A modern rounded-square shape with beautifully rippled and textured surface, almost with the trace of a human hand running across it. The irregular spiral pattern adds a sense of vibrancy and rhythm to the modern bathroom along with a unique resonance and character. Deep and generous, the design reduces splashing and is remarkably easy to clean. To design a sink that is both authentic and contemporary,, we studied the timeless interactions between various forces of nature to inspire us. Simple things, like a pebble from the beach, from the river bed, the feeling of that in your hand, warm and cold, the softness of it, the weight of it... this is something that we have tried to bring through in our Kankara vessel sink. Kankara’s design is evocative of one of nature’s truly persistent wonders, a pebble sitting on a river bed. Its irregular design is a reflection of the imperfections of nature while referencing Time and Earth, the two luxuries we most commonly take for granted. Rich, luxurious and restrained by good taste, the Kankara sink embodies the timeless elegance of the elements, making it the perfect choice for your discerning tastes.